About 1% of the population will suffer a severe wound during their life. Thus, it is really important to develop new techniques in order to properly treat these injuries due to the high socioeconomically impact they suppose. Skin substitutes and pressure based therapies are currently the most promising techniques to heal these injuries. Nevertheless, we are still far from finding a definitive skin substitute for the treatment of all chronic wounds. As a first step in developing new tissue engineering tools and treatment techniques for wound healing, in silico models could help in understanding the mechanisms and factors implicated in wound healing. Here, we review mathematical models of wound healing. These models include different tissue and cell types involved in healing, as well as biochemical and mechanical factors which determine this process. Special attention is paid to the contraction mechanism of cells as an answer to the tissue mechanical state. Other cell processes such as differentiation and proliferation are also included in the models together with extracellular matrix production. 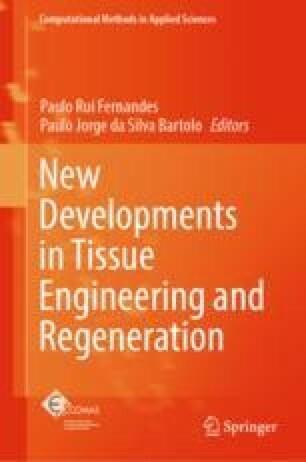 The results obtained show the dependency of the success of wound healing on tissue composition and the importance of the different biomechanical and biochemical factors. This could help to individuate the adequate concentration of growth factors to accelerate healing and also the best mechanical properties of the new skin substitute depending on the wound location in the body and its size and shape. Thus, the feedback loop of computational models, experimental works and tissue engineering could help to identify the key features in the design of new treatments to heal severe wounds. This research was supported by the European Research Council (ERC) through the project ERC-2012-StG 306751 and the Spanish Ministry of Economy and Competitiveness through the project DPI2012-32880 (project partly founded by the European Development Fund).